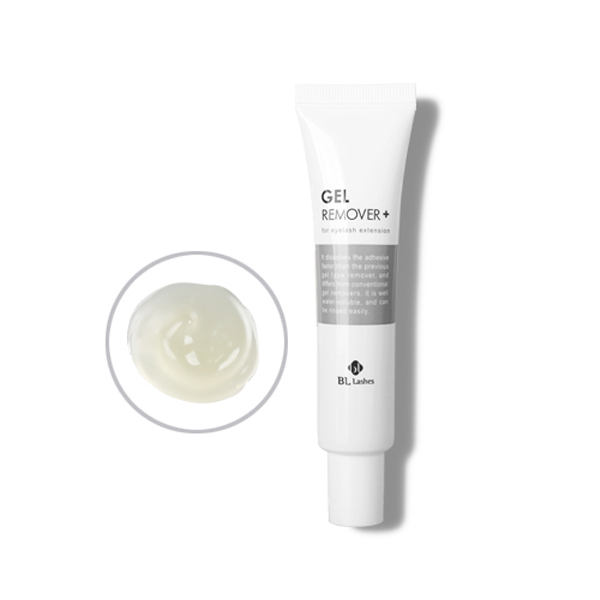 Gel Glue Remover+ for lash extensions. This gel remover is free of acetone, doesn’t harm the natural lashes. It dissolves adhesives faster than Gel Remover and it is water soluble to be rinsed easily.